Ahhh, social media, the one thing almost every business coach, internet guru and marketing expert say’s you MUST do in 2014 if you want your business to grow. Ok, so I agree with this in most cases, Social is the certainly an important part of marketing and should be used as part of an overall business marketing strategy, but there are so many different social sites out there, and only limited hours in the day. How do you decide which ones to use and which ones are going to be pointless? However each of these has very different users and ways of doing things. If your target is normal, everyday consumers, then Facebook and Twitter are probably the best resources for you to obtain leads, but they are also extremely busy and getting your message out amongst all the noise is not always easy. Facebook for business use has become more difficult over the last 6 months as they change to a “pay to play” model that requires business pages to spend money on getting their message out to people who have liked their page. No matter what your opinion is on this, it is here to stay so we all just have to work with it. If you have found Facebook to be a good lead of paying customers, then investing some of your profits back into the system to obtain more customers is the logical choice, just make sure you keep your eye on the cost per customer you gain as it can soon get out of hand. 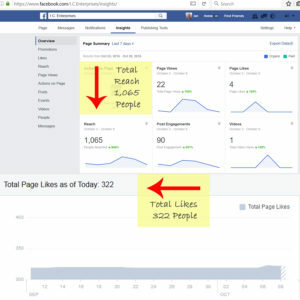 You can still reach a (smallish) percentage of your followers for free by creating great content that people will engage with via likes, comments and shares, just don’t expect to see the same results as you had 2 years ago. The demographics for Facebook are huge with all different types of people using it so finding your target audience can be daunting. Twitter is a cool place to be if you can work out how to engage your audience in 140 characters or less. This is daunting to many people but with practice it is doable. The good news about using Twitter is that the experts are saying 4 posts a day is enough to get yourself seen, this means you can prepare them upfront and schedule them with a third party app to go out at various times through the day. Of course, one of the biggest things on Twitter, and indeed all the networks is communication and sharing. You will need to put aside time to retweet, favourite and comment on other peoples tweets to help build your own following. The users on Twitter seem to be younger than Facebook, and have a variety of interests. If you use the search function to find others in your field you can see what they are doing on this platform for ideas to help your own strategy. YouTube is the second most searched site on the internet and if you can produce some videos for your products or services can be huge for getting your message out. It is not as complicated as people think and can improve your websites traffic if you can create regular content that people like. YouTube is also integrated with other Google properties which can help your message get to more people. One key to using YouTube effectively is to share your videos to other sites, including your own, to help it be seen by as many people as possible. Again, a younger crowd seems to be prevalent on here, but video is now a more universal communication resource as more people and devices can access it readily. GooglePlus is slowly but surely growing as a social media option with upwards of 120 million people using it on a regular basis. The shift to G+ has not been hugely successful as most people think it is too hard to use compared to Facebook and Twitter, but in my opinion the benefits far outweigh the learning curve. GooglePlus is owned by Google, the biggest search engine around and as such offers extra benefits that other social networks just cannot compete with. GooglePlus requires some work to get going, but you can build networks easily by contributing and connecting with others. 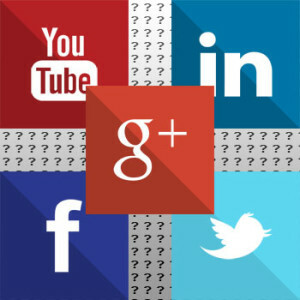 From my own observations there are a lot of professionals on GooglePlus who will also help you to make the most of it. As it grows I expect to see more business and marketers moving to this as their primary network due to the overall SEO aspects. LinkedIn is a professional networking site which makes it totally different from the other big ones. The main focus of LinkedIn is to connect professionals for both networking and help. Due to the nature of the site, the main focus on here should be staying professional and building credibility. The audience does not respond to the personal things that other social media sites cater to so try to maintain a business owner perspective when using this site. Like other networks you can also build a page for your business on LinkedIn, with the benefit of being able to list your products in an area specially for them. With mainly professional people using this site, it is great for businesses who provide products/services for other businesses (B2B). There are of course lot’s of other Social Media sites which though they may not be as prominent can still be useful to marketing your business. On the visual side there are 2 notable sites, Pinterest which has a steadily growing user base and excellent sharing functions to get your content out there, and Instagram which also allows users to post images and have them shared by other people. Both of these can be incorporated into your marketing if you can produce quality visuals about your business and be helpful to people (for the share-ability factor) as well. Tumblr works in a similar way to blogging and can help with getting traffic to your website, and has a young demographic, be sure to network with others to get the most out of it. Overall, my tip for getting the most out of Social Media is to not try and do them all. If you concentrate your efforts on one or two networks that have the type of people your business appeals to, then you should be able to build and maintain a presence that helps with your lead generation. What Social Media sites do you use, and why? Let us all know in the comments below. I personally like Twitter, FB so far is where my potential clients seem to be and I know how to use it. I do believe I would do well with Pinterest, but don’t have the time to learn something new now. I am first learning G+ now and it is a bit overwhelming with all the other stuff I have been involved in. I do believe I have over extended myself. I hope this helps you. Hi Rochelle, yes I agree that G+ is a steep learning curve, but given the way Facebook is going for reach I am thinking it is a good alternative, especially when you consider the extra benefits. Pinterest is good for marketing to the US, especially if your target “ideal customer” is female as the site is comprised of around 80% female users.